How Poisonous Is Lily of the Valley? 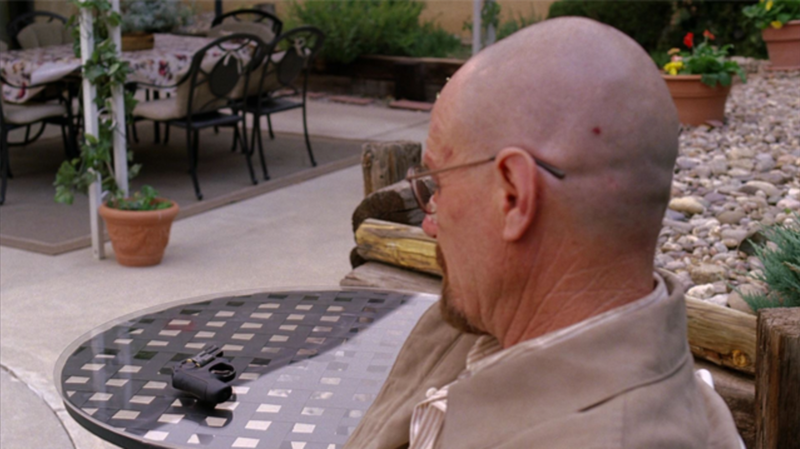 We don't want to spoil anything from this season of Breaking Bad for those who haven't seen it. But for the floss readers curious about lily of the valley, a plant that played a part in Sunday's season finale, we're happy to talk botany. Read on at your own risk. So, what is lily of the valley? Known by the scientific name Convallaria majalis, the lily of the valley is an herbaceous (the leaves and stems die at the end of the growing season and there's no persistent woody stem) perennial found in temperate areas of the Northern Hemisphere. The plant forms large colonies by spreading underground stems and appears above ground with upright stems called pips. The lily blooms in the late spring and has white, bell-shaped, sweet-smelling flowers and small orange-red berries. Toxicity is the plant's defense against animals eating its seeds. All parts of the plant—the stems, the leaves, the flowers and the berries—are extremely poisonous and close to 40 different cardiac glycosides have been found in the plant so far. Glycosides are chemical compounds where a sugar is bound to a non-carbohydrate molecule. By increasing calcium stores in and around cells, cardiac glycosides increase the force with which the heart contracts and the volume of blood it can pump. This is not necessarily a bad thing, and these compounds have been used in medicine since the ancient Roman Empire to treat arrhythmia and congestive heart failure (today, the drugs Lanoxin, Digitek, and Lanoxicaps are made from a purified cardiac glycoside extracted from the foxglove plant). In quantities over the recommended safe dosage, though, cardiac glycosides can wreak havoc on your gastrointestinal, circulatory and nervous systems (more on that later). That doesn't sound good. Could it be growing in my yard? Possibly. The plant is widespread in the wild across Asia, continental Europe, England and the Appalachia region of the eastern United States. It's also a popular garden plant because of its sweet-smelling flowers and ground-covering ability, so it wouldn't be shocking to find it in a garden outside of its native range. Like, say, Albuquerque. So I definitely shouldn't be eating it, then? Not unless blurry vision, diarrhea, vomiting and nausea, disorientation, drowsiness, headaches, red skin rashes, excessive salivation, sudden alterations in your cardiac rhythm and possible death sound like your idea of fun. Oh. Let's say that, er, a friend of a friend ate some. What's next? Get to a hospital, where treatment will include ingestion of activated charcoal, breathing support, IV fluids, an electrocardiogram and a temporary pacemaker, depending on the nature and severity of the symptoms. They might also recommend not hanging out with people who make and/or sell meth.